I have no idea what the motivation behind these "RSI" releases is but I for one do not consider them "real" as RSI died decades ago. That being said, not bad, the music is excellent and the effects are OK. The scroller looks ugly though with the fixed width for each char when the font clearly is a proportional one. what stingray said but with a thumb! =) and nice landscape! Eyecancer colours, terrible scrollfont, zero consistency in visuals. Weak piggie thanks to decent music. i like the landscape. rest is meh. Horrible design straight out of 1987. The landscape is the only decent thing, but that's not enough to save it from a thumb down. Nice enough. It has some of my favorites there, like glenz and many parallax and stars, all put together. This would make a nice intro back in 1991, but what is the point in making the N+1th iteration of an archetypical oldschool intro 24 years later? The parallax landscape was nice though. What Holid said. Something more contemporary would have been nice. Good tune, good logo! Uglish 32x32 thou... Lack some design. Motivational thumb, but try harder next time. I like the retro feel. true oldschool spirit!! it's a hundred times better than pseudo oldschool thing on morden hardware. 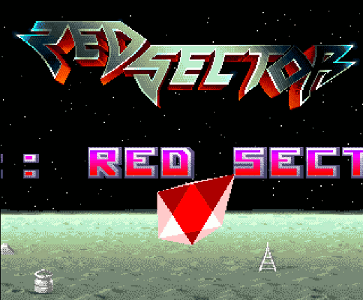 "Red Sector" logo is ok, as is everything else except the horrible scrollfont. Landscape is even nice. It is not bad but not good either. Ugly font and scroller, nice parallax and logo. Well, it was revived... so why not consider them real? so why not consider them real? It's as real as a fake account which was only created to upvote "RSI" releases. pixman - to revive something legitimately, you have to having been part of it in the past, to start with. What Kylearan said, I hate pretty much all "demos" in this style. Kudos for making this on an authentic platform, but still no go for me. Pixman, please don't feed the trolls. Also FYI that last fake account above is Hardy of this illegitimate group. As I see it, because of the gap, if someone who was a member in 1993 was the one who added Lexo in 2015, there's continuation and there's a 30 years anniversary. Else not. I apply logic in this way. But no group is safe from this logic. page created in 0.016912 seconds with 15 queries.